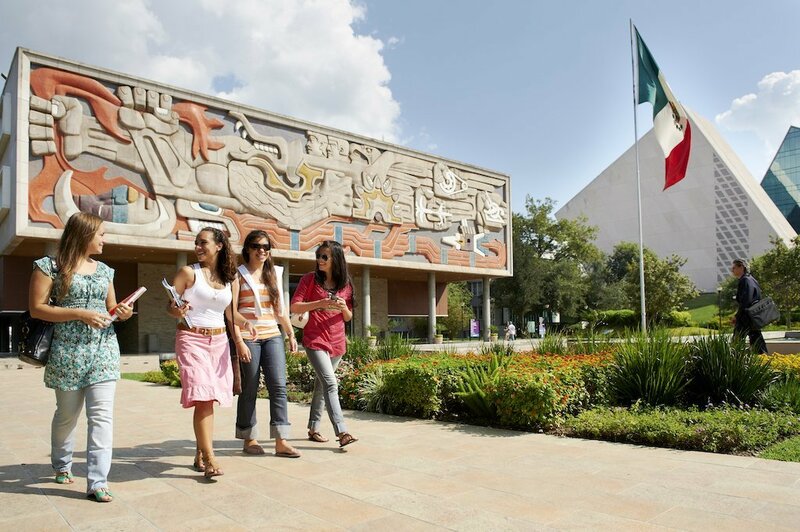 Tecnologico de Monterrey is one of the most recognized universities in Latin America. With 32 campuses around Mexico, it provides one of the highest quality education for over 90.000 students. The private university is well known for being the first university that was ever connected to the internet in Latin America and for their many famous politicians, CEOs of the largest international corporations, and their highly recognized academics. In 2018, Tec de Monterrey was ranked as the number 5 on the list of best universities in Latin America while in 2017 the university was listed as number 7. This is mostly due to the high marks on the categories of internationalization, innovation, employability, facilities and special criteria. Tecnologico de Monterrey has achieved that 94% of the graduates are employed within 12 months of graduation and some of them are now directors of very successful companies in Mexico and Latin America. The 31 campuses are spread out over Mexico divided into three different regions. North: Monterrey, Cumbres, Eugenio Garza Lagüera, Eugenio Garza Sada, Santa Catarina, Valle Alto, Aguascalientes, Chihuahua, Ciudad Juárez, Laguna, Matamoros, Saltillo, Tampico and Zacatecas. Central-South: Mexico City, Santa Fe, State of Mexico, Prepa Tec Esmeralda, Chiapas, Cuernavaca, Hidalgo, Metepec, Puebla, Toluca and Veracruz Central. West: Colima, Guadalajara, Irapuato, León, Morelia, Navojoa, Northern Sonora, Obregón, Querétaro, San Luis Potosí, Santa Anita and Sinaloa. The main campus is located in Monterrey in the North of Mexico where the university was founded back in the late 1960’s. This campus has remained the largest of all with additional facilities to enjoy. Studying at Tec de Monterrey in Mexico City, Guadalajara, Puebla, Morelia, Querétaro, Mérida, Aguascalientes or any of the other campuses is nothing like you are used to. It’s not just a university where you get your education, it’s a way of living. Everyone is extremely proud of their university and that is not very unexpected if you go to one of the most expensive private universities in Mexico. The tuition for a year at Tec de Monterrey will cost around 13.000 USD, which is extremely high for a country with an average salary of 843 USD a month. Luckily the exchange program with your university enables you to go there for free. The facilities at Tec de Monterrey are designed to create a nice balance between studying and recreation. 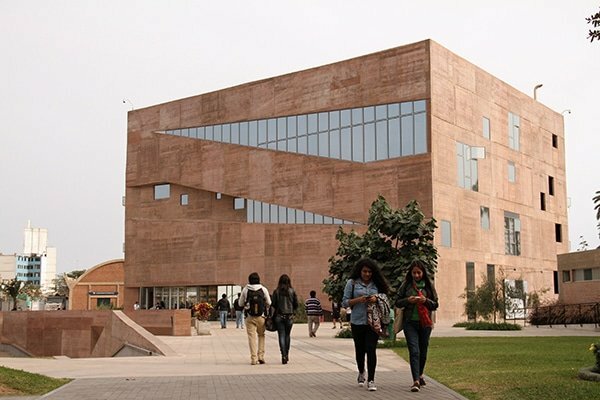 The main campuses in Monterrey, Mexico City and Guadalajara (also the largest cities in Mexico) have state-of-the-art facilities that can be easily compared to the American campuses you see on Youtube. Every student will have access to cafeterias, research laboratories, gym, library, swimming pool, baseball/football/soccer fields that even has a stadium for over 36.000 visitors. A very cool fact about the main campus in Monterrey is that it is designed as an oasis of nature. So when you’re walking from class to class you will go through a beautiful garden that will make you instantly forget you are at a university. The best part, there are many different animals walking around freely. They started with ducks and peacocks, but nowadays you can find squirrels, hummingbirds, woodpeckers, cenzontles, and even deers. Yes really, they can come up to you while you are chilling with your friends in the sun. Studying at Tec de Monterrey is not just for your degree, it is also to have fun. Many students are active in extracurricular activities, such as congresses, debating, community events or student- and study groups. They often organize fun activities for the other students that happen on campus, including an outdoor cinema with bean bags, markets, music events and much more. You can also participate in sports activities and join the school team of your favorite sport or perform different arts, such as salsa lessons, singing, music, cooking and graphic arts. The possibilities are endless. As a foreigner, studying at Tec de Monterrey has many advantages. One of those is that you can select your courses yourself. No more boring classes. You choose what you want to spend your time on. You are likely to be required by your own university to select 4 or 5 courses out of the 60 courses taught in English or from the more than 3.000 courses taught in Spanish. When selecting your courses online you will also be able to see when these classes will be held. However, the time and date are likely to change, so if you try to fit everything in three days you will likely get the short end. The average class consists of 30 students and teamwork, projects in small groups and student participation are highly encouraged by the teacher. The grading is a little different than you might be used to. Instead of only taking exams, your homework will be graded as well. All grades combined will give you a number between 0 and 100, of which 70 is the minimum to pass the course. As a foreign student from Europe, this is very doable while still covering very interesting and challenging topics. The extensive campuses of Tec de Monterrey include residence halls to accommodate you with housing. These rooms are always shared with one other person of the same gender and can be either on or off campus. The price would range from 1955 USD to 2890 USD per semester. Fortunately, there are also other options that provide you with safe, fun and close by accommodations. Tellanto has close relationships with an organization that’s dedicated to provide housing for national and international exchange students in Mexico. We want you to have the best stay possible through the incredible housing with other students from all over the world, thematic events and adventurous trips. For the price ranging from €250 to €300 you will have your own room, reliable landlord and have Tellanto at your side for support or questions. The best part, you do not pay anything extra to find this room. Join the family! I’m still learning from you, while I’m making my way to the top as well. I absolutely love reading all that is written on your site.Keep the stories coming. I loved it!